Rtapalli Vidyapitha, a free residential high school surrounded by mango trees and vegetable gardens, welcomes you to explore our highly exciting and challenging mathematics and science program for high school students. We admit students in Class VI (6th Grade) from mostly Odiya-medium elementary schools, and help them learn how to learn on their own. 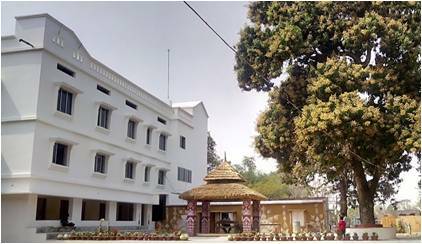 Academics: Rtapalli strives to build a Center of Excellence in mathematics, science and Sanskrit. In addition to mathematics, physics, chemistry and biology, strong emphasis is given to Sanskrit, Oriya and English literature. Our students are introduced to the teachings of Bhagavad Gita and the Upanishads in order to prepare them for life ahead. In order to ensure a wholesome growth of our children Rtapalli provides opportunities to learn classical Odissi dance and Indian classical music (Vocal, Tabla and Flute). Rtapalli aims to create a nucleus of students brought up with academic excellence and strong social commitment. In the ambiance of a Gurukula with modern technology, Rtapalli intends to shape the builders who will shape our nation and the world beyond. Here you can have a glimpse into the Mission and Vision of Rtasrota - the institution being built by our Rtashrees. Social Commitment and Academic Enrichment: As a part of our goal towards institution building our alumni bring in their teaching and research experience to enrich the academics at Rtapalli. Some of them contribute directly through regular online teaching from various parts of the world. The voluntary teaching staff includes our Rtapalli parivara members studying and doing research at (or graduated from) MIT, Cornell University, University of Michigan, University of California, Berkeley, University of Utah, University of Nebraska, Lincoln, BPUT, Utkal University, Chennai Mathematical Institute, Indian Institutes of Science Education and Research, IIT and IISc. Admission Policy: About 15 students are admitted to Class VI each year from all over Odisha through a two-phase entrance test. Students from low-income families and rural areas are given preference for half of the seats. Keeping in focus the philosophy of Shraddha, and Rtapalli Founders that all children are equal, the other half of seats are need-blind and filled without any discrimination. 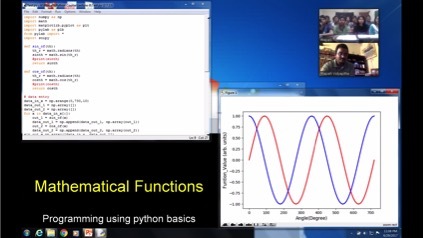 Class XI students are introduced to Python computer programming by Dr. Sanjit Ghose from Brookhaven National Laboratory, New York. 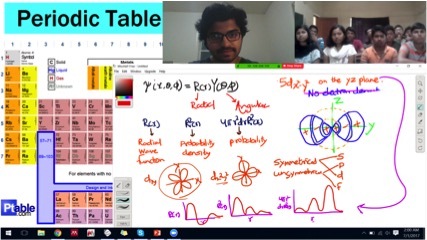 Online chemistry class by Bibudha Parasar, a Ph.D student in the Department of Chemistry and Chemical Biology, Cornell University, New York. 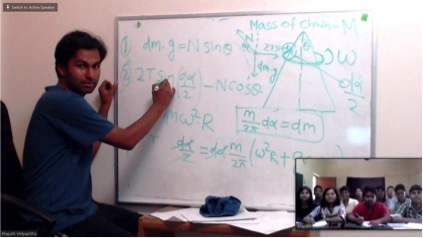 Online physics class by Rajesh Malla, a Ph.D student in the Department of Physics, University of Utah, Salt Lake City, USA.